The tagline explains it all. With so much local talent on hand, Lady Xplicit of I Am Strictly Business and her team couldn’t pass up the opportunity to showcase them. What better way to do so than the internet, where it can be seen around the world, giving needed exposure to San Diego and her talented residents. After some collaboration between producers and publicists, The Break was born. The idea was to literally give someone a break. Not limiting the talent to music only. The doors are open to dance, acting, comedy and anything else considered entertainment. It’s a talk show, which means after interviews the floor is open for conversation on any topic. Aside from politics, no topic is off limits. The entertainment doesn’t stop at interviews and performances. Comedic skits will be added in future lineups. The Break is geared up to be a great platform for San Diego’s entertainers. 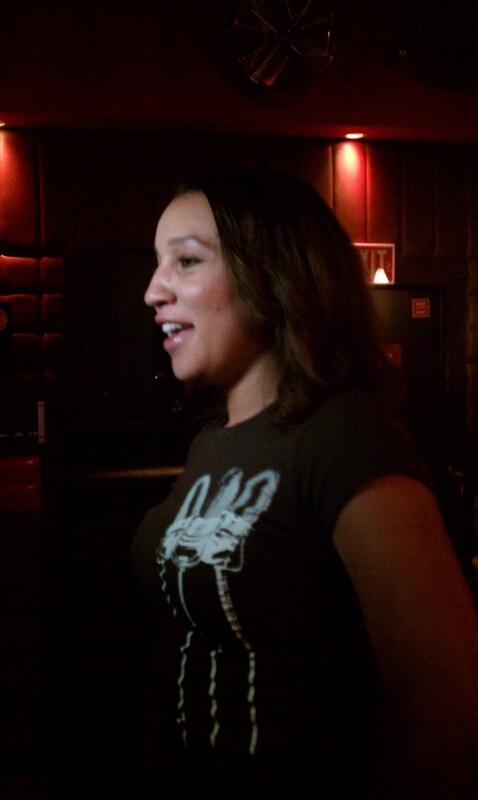 The first show, filmed by Triple M Designz at the AC Lounge in North Park, opened with introductions by Lady Xplicit. Earl A. Wilson presented sports news and Melissa Myers presented updates on upcoming local events and entertainment news. The featured guest was Parker & the Number Man, a group based out of North Park. Their music is self-described as “socially relevant tracks aimed squarely at the average Joe”. After an engaging interview with Lady Xplicit, the dynamic duo captivated the audience when they performed their song “Pause”. The house was moving and the atmosphere electrifying. The show closed with a personal conversation with the cast about “relationships”. They were all very candid about their thoughts. Check out the show and see for yourself what they said. It can be extremely difficult as a graphic designer to “give ‘em what they want!”, especially when the design is not going in the direction you thought they wanted to go. You learn the delicate balance between giving your client control and knowing when to step in and take over. Setting goals is the key to a successful design consultation. The clients picked you, because they like your work. This is a start. Letting the client have control involves listening and asking the right questions. You’re there to guide them, you are the professional. Set Your Goal: Make sure that your client’s focus is the end product. Don’t fuss over the little things. Don’t get them involved in the little things. You know the little things that are involved during the designing phase. Finish your design, then, give it to them. If they want to tweak it a bit then that’s fine too. Let them. Remember the design will be an impression the client. No body wants to have a bad impression, so since you designed it… it’ll be good! Check out our friend Daily Designs. This guy does it all.